Named for Civil-War era General Lucius Bierce, whose personal library constituted the first collection of the University Libraries, Bierce Library opened in its present four-story facility on Buchtel Common in 1973. Within this library are resources and services that support the humanities, fine and applied arts, social sciences, and business. Amenities such as a coffee shop, group project areas, viewing and listening carrels, and private study rooms provide an atmosphere conducive to learning. 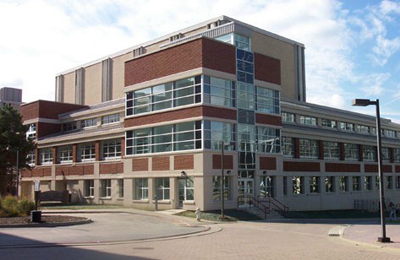 Renovated and expanded in 2003, the Science and Technology Library is conveniently located at 104 Auburn Science and Engineering Center close to the academic disciplines its collections and services support, such as pure and applied sciences, engineering, nursing and allied health fields, and polymer science and polymer engineering. The library includes the holdings and papers of the Rubber Division of the American Chemical Society. Group project rooms and comfortable lounge furniture in designated quiet areas provide a sound study environment.